Have you noticed how people seem to have a special and unique relationship with their mobile devices & cell phones? We are addicted to them! If our mobile phones aren’t in our hands, they are almost always within reach. Even while we sleep! As a business owner, this is great news for you but we’ll go into that more later. First, you need to think about your own website. Have you looked at it on a mobile phone? The fact is that if your website is not easily viewed and navigated on mobile phones, then you’re going to lose business to your competers who have established a mobile-friendly website. It’s true. It’s no longer enough to have a just a website. You MUST now have a mobile-friendly website as well. On average, currently 1 in 7 Google searches are coming from a mobile device. 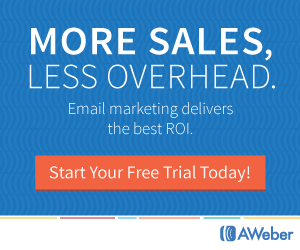 Can you afford to miss out on those potential new customers? Mobile friendly websites make it super simple and fast for someone searching on their mobile phone to find the information they need about your business. You are in your car and you are hungry. You pick up your phone and search for “lunch specials”. More than likely, you find a bunch of websites that you can’t even read on your phone, let alone navigate the website! What you want in a situation like this is the address, phone number, menu, and maybe even a coupon so you can get to the restaurant and eat! You’ve got a couple of options. Option #1: You can build it yourself. With a little knowledge about design, html, and search engine optimization, you can build your own mobile friendly website. Option #2: You can get someone else to do it and we would love to take care of that for you! 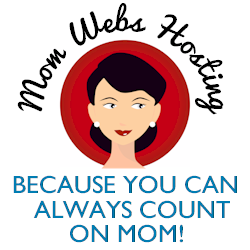 The good news is that we can get your mobile friendly, seo optimized website up fast! If you are ready to get started or you want to know more, call us today for a free consultation. P.S. 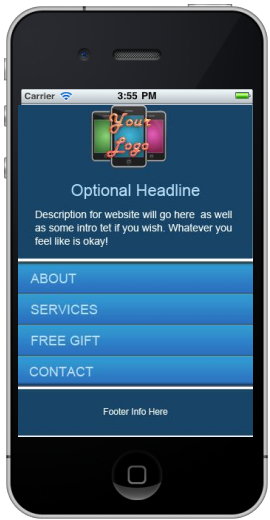 Ask me about our mobile website marketing package or visit our mobile site for more details. If you aren’t yet using Foursquare for your business, you are missing very valuable exposure! It’s a new way to spread word of mouth advertising and it can help your business in a big way! Foursquare is a mobile application that users use on their mobile phones and is designed to allow people to “check in,” or, indicate their whereabouts to their friends or others. 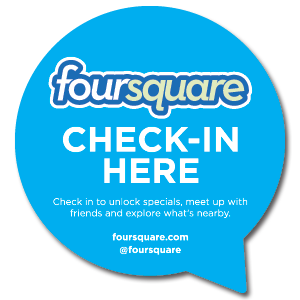 People “check in” at a variety of different types of places, including their homes, parks, offices, restaurants, bars, cafés, and various other businesses that participate in Foursquare. Customer Loyalty: Foursquare should be used to offer customer loyalty promotions, such as offering something complimentary to any customer that checks in three times within a one week period or writes a positive review. Foursquare makes offering these types of promotions “Foursquare specials” easy for business owners by providing free tools to allow businesses automatically fulfill or unlock the Foursquare special (e.g. Foursquare says you have been here 3 times this week! That’s a free appetizer or Foursquare users get 20% off their order every 10th check in!). Points: Foursquare is almost like a game where users can get points for actions like: checking in, adding a new venue, repeat visits, etc. The points are assessed by venue, as well as a whole. Businesses can encourage customers to check in by providing value for the number of points accrued, such as offering to donate a nickel per point to a charity or allowing users to earn discounts in relation to the number of points they have. 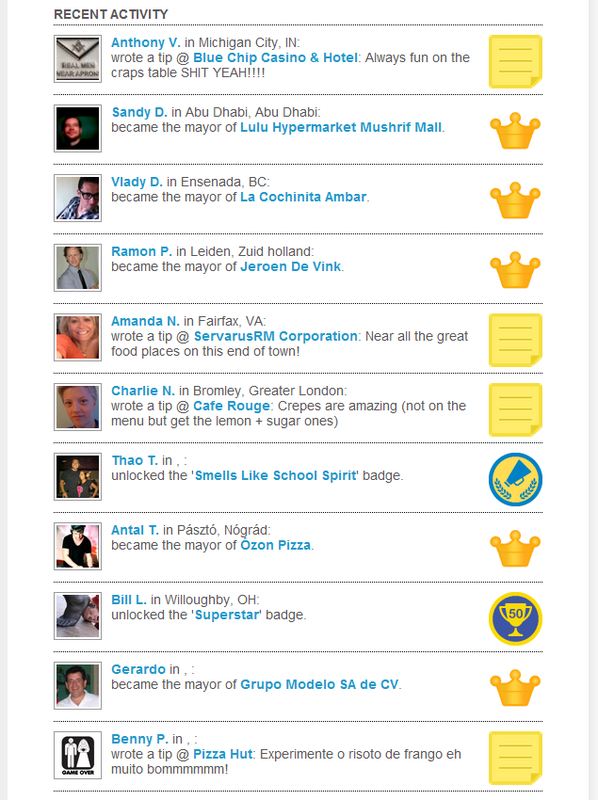 Mayors: Another great reason for users to check in at your businesses as well as the other businesses that they frequent is that the user who has the most points for a specific venue is designated as the “mayor” of that venue. A good Foursquare marketing strategy will include your business offering something of a larger value to the Foursquare member who becomes the mayor of your venue. It can be something like a gift certificate or complimentary coffee for the month. Many Foursquare users are very competitive over the “mayor” status and this “battle” can translate into increased exposure and profits, for your business. To Do Lists: As a business user, you can create a “to-do” list for Foursquare users. A Foursquare to-do list operates very much like a contest or scavenger hunt. You just create a to-do list based on aspects of your business you would like to promote. Promotions could include anything you wish. Things such as a new beer or cocktail, a new fitness class, or a new line of clothing, etc. When a user completes the to-do list, you could award him much the way you would award the “mayor” – by providing a complimentary item or service. Everyone’s a winner: If you can, consider making everyone a winner by offering a free upgrade to anyone who checks in (and shows they did to the cashier). Another example might be to offer a 10% discount to everyone in the store when the analytics show that 100 people have checked in at your venue. Without a doubt, participating in sites like FourSquare can be a key part of growing your business presence in the eyes of internet dependent local consumers. To learn more, click here for more about using Foursquare for business, and be sure to watch the video below. Remember, a first rate online marketing strategy includes being findable in multiple places and on multiple formats when local consumers are looking for your product or service. Mobile marketing is a platform that is growing at an astounding rate and it should not be overlooked or underestimated as the powerful marketing tool that it is. P.S. Our local Internet Marketing consultants at e-Edge Marketing can help you strategize and implement your online marketing plan, including opportunities like FourSquare. For more information, get your free copy of “The Small Business Guide to Mobile Marketing” by submitting the form on the right side of this page or contact us today to schedule a complimentary consultation.